Metal Glass Sapphire Hermetic & Brazing Manufacturer | Rayotek Scientific Inc.
Rayotek has developed proprietary processes for sapphire and glass assembly through bonding, brazing, hermetic sealing and soldering. 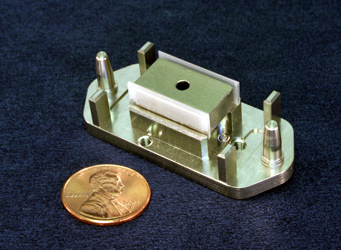 We utilize reducing and vacuum atmospheres for glass and sapphire brazing and soldering. We also do glass and sapphire welding and glass frit sealing. brass & other metals & ceramics. Our engineering department is here to assist you in determining the best glass and sapphire bonding and assembly system for your applications.